I am the pattern seeker. That’s right. 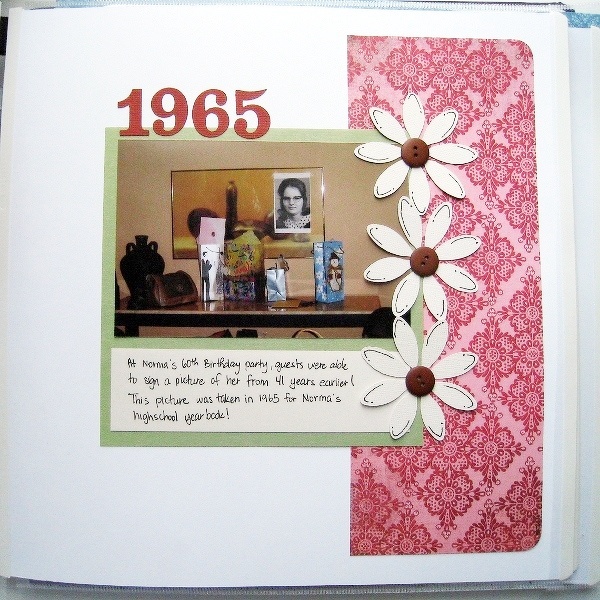 I’m transforming my scrapbooking and cardmaking habits from being the product seeker to a pattern seeker. I was inspired by a question on the Two Peas in a Bucket scrapbooking forum. Someone asked how scrapbookers found their style. Someone responded with a link to a series of blog posts where another scrapper documented her style reboot. Here’s my journey. When I read the question on Two Peas, I already had an idea of my style. “Clean and simple” is my style but that definition is pretty general. So, while I have an idea of my style, it’s still a fuzzy idea. Let’s see if I can bring some clarity. Some people suggested looking at the layouts and designers you admire, follow or bookmark. Others suggested looking back at your own work and choosing your favourite layouts. I know that the artwork I admire is often not an artwork I can imitate. I like it but it’s not my style. So, I decided looking at my own work would be a better place to start. I’d rather analyze what I actually do than just what I like to fawn over. I went through my scrapbooks and bookmarked a lot of pages. (I don’t think I marked ANY pages in my two oldest scrapbooks. That made me a little sad!) As I marked them I started to notice common elements and I began a list. That list is what I’m going to share with you to help you see pattern possibilities in your own work too. The first thing I noticed is that almost all of my favourite layouts have titles. These are not just any titles. They are BIG titles. The title is a major element of my page. They range in size but are rarely smaller than half the size of the photographs. Often, they are larger than the photographs. Some people don't title their pages at all. They prefer to let the photographs take centre stage. For me, though, titles are a must! I also noticed that all those big and beautiful titles are all cut from cardstock: no patterned paper or chipboard, no rubons or stickers. In fact, cardstock plays a key role in all my pages: number one as the title, but also for the negative space showing (we’ll get to that in a later post) and because I like to use die cuts as my primary embellishment. There tends to be only one or two patterned papers on my pages. That means I can buy lots of cardstock but no more patterned paper stacks for me. I don’t need 300 pages of patterns I will never use. I will buy my patterned papers by the sheet from now on! I have no tendency towards any particular colour or colour styles (bright, mute, primary, pastel, warm, cool). The cardstock that the layout is sitting on is the grounding neutral, be it white, black or any shade of brown (maybe grey too). To that, I add one or two patterned papers that suit the photo rather than any colour preference of my own. That means, I should resist buying supplies just because I like the colour. The chance of me building a layout around the colour of a supply is slim to none. So, even though it would look smashing in my stash, I’m not going to fall for it anymore! These are the basic building blocks of my style: titles, cardstocks and and the absence of recurring colours. Next time, we're going to analyze how I actually put it on the page. I found a pattern in the orientation of elements on my pages that is common to all my favourite layouts. Stay tuned to find out what it is! I think all your layouts are lovely. They focus on the photos.